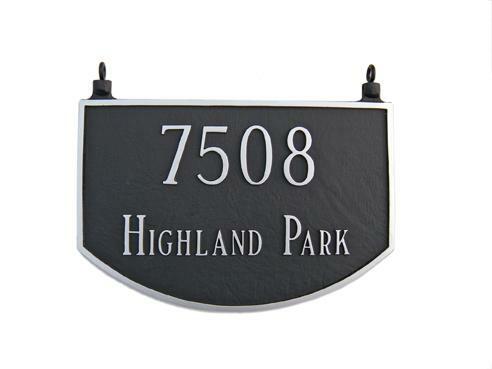 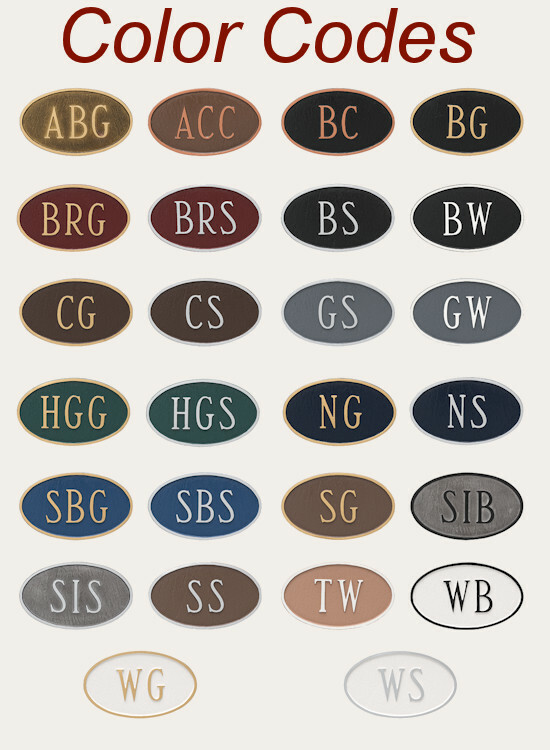 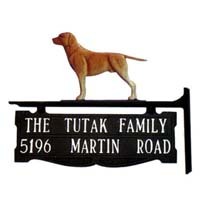 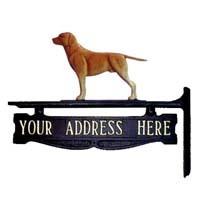 Montague Metals Double Sided Hanging Prestige Arch Series Address Plaque is simple, yet impressive in an address sign for your home or business. 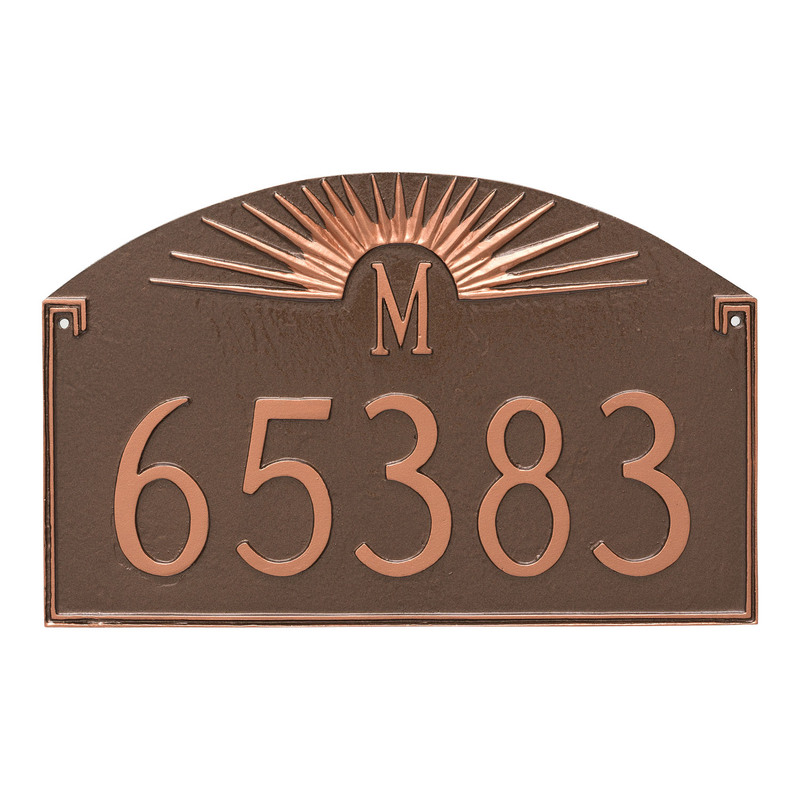 The Prestige Arch Home Address Plaque is rust free for life, 100% cast Aluminum and has a eyelet system for standard hanging applications such as chains, hooks and straps. 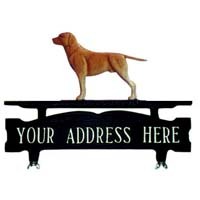 This Prestige Arch Double Sided Hanging Sign has the SAME text on both sides.